I used to live in an old farmhouse in the Mississippi Delta. It was a drafty place, cold in winter, but still I loved it, largely because of the view: My landlord kept horses penned in the wooded pastures surrounding the house. Watching their tails flick as they browsed the grass always made me feel blissfully serene. I imagined climbing atop one of those stallions and sauntering off into the woods. It was all a fantasy, of course. I know next to nothing about how to ride. Last fall, though, I drove back to that old farmhouse to meet with Archie Beckworth, the property’s caretaker, who is also a familiar figure in the state’s horse scene. 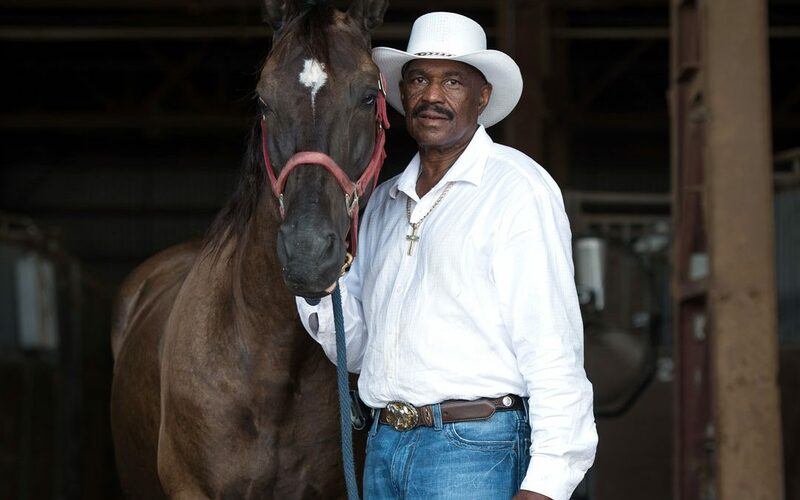 Almost every weekend, you can find Beckworth at some small-town arena, showing his horses. This is a small but vibrant Mississippi culture, and I had come to try to understand it. I also figured it was my chance for that long-dreamed-of ride. Beckworth was born in Indianola but lived in Chicago for years. He’s always loved horses—he grew up riding—but in Chicago he could only ride occasionally when he could borrow a horse from a friend. A few years ago, he returned home and works now as the caretaker at Peacock Plantation outside of Shaw. Being able to buy and keep his own horses was one of the great pleasures of coming home, he tells me. Beckworth has six horses, though the herd is expanding—two colts had been born in the weeks before my visit, and another was on the way. One of these colts, he figured, would be his next show horse. Already it had picked up the distinctive gait that marks its lineage as a Tennessee Walking Horse, a prized breed. Beckworth led Rio, the 14-year-old sire of that colt, and another horse named Solo from the pasture, and tied both to his trailer. While the horses munched happily on buckets of deer corn, Beckworth went through his ritual: he brushed their hides and manes, set blankets atop their backs, and cinched up the saddles. Each step was careful, methodical, calm. “When you’re back there riding, it’s a different atmosphere,” he says. “It takes you away from everything. It’s a peace of mind.” But as we climbed atop the horses, I felt more trepidation than calm. Though horses first evolved in North America, they eventually went extinct here. It was not until the turn of the 16th century, as European explorers began to arrive in Central and South America, that equines reappeared. The earliest horses within the boundaries of contemporary America were likely delivered in 1538 to a Spanish colony in Florida—though within a decade, thousands of free-ranging horses were spreading far and wide. Soon, horses played an essential role, one they kept playing for hundreds of years, even as Mississippi became a state in the early 19th century. “Horses were our main source of work in farming, transportation, the whole nine yards,” says Greg Bermond, a horse trainer based in Kosciusko. “But through the years it’s changed.” The use of horses began to decline by the 1920s, as cars and other machines replaced some of their old functions. Horse populations can be hard to calculate, but estimates put the U.S. equine population, including mules and donkeys, as high as 9 million—which means, despite falling numbers, America may have more horses than any other nation in the world. In 2007, an agricultural economist with the Mississippi State University Extension Service calculated that there were around 110,000 horses in the state. Dr. Clay Cavinder, the service’s current equine specialist, guesses those numbers have held fairly stable. Most of those horses are used for recreation and sport. There are 13 regional horse show associations across the state that schedule events from January to August, and sometimes beyond. Some competitions are timed, like barrel racing and pole bending, in which riders compete to see who can complete set patterns the fastest. Other competitions are judged: horses and their riders are scored on how they perform their gaits, from walk to trot to canter. (There are also gaited breeds, like the Tennessee Walking Horse, that are scored on their ability to perform specific gaits typical to their breed.) Strong performances throughout the local season qualify riders for the state’s major event, the State of Mississippi Championship Horse Show, which has been held for more than 40 years at the state fairgrounds. Each September, for the five days of the show, the parking lot grows cluttered with pickup trucks and horse trailers. Under the shadow of the capitol’s downtown towers, riders lead their horses into the Kirk Fordice Equine Center, one of the most modern livestock facilities in the South. Riders of all ages compete in 71 different “classes,” which specify age or gender and event. (For one example: there is “Men’s Gaited Pleasure, in which Beckworth, riding Rio, placed sixth.) “There’s something for everyone,” says Gale Myers, who is the secretary for the board of the overarching State of Mississippi Horse Show Association. But that, I found, can prove difficult. Solo, the horse I was riding through the Delta countryside, sensed that I was a neophyte. Every time we hit a fork in the trail, he would stop completely and turn his head towards home—where he knew he’d be rewarded, as always, with hay. I dug my heels into his side and slowly, grudgingly, he’d begin our walk again. Eventually, he seemed to accept that I was the one in charge. And so, while the sun slipped down over the Delta, we made our way together through pastures and into the woods. On the winding trail, I lost all sense of direction. Beckworth was right: it was as if we’d left the world behind. Exactly what I’d been dreaming of for all these years. Enjoy the Dixie National Rodeo, February 13-17 at the Coliseum in Jackson. Visit dnqhs.org for more information.